Services to the Armed Forces Volunteers help serve military families and veterans in a variety of ways. 1) Hero Care Network Regional Casework Associate-Assist with emergency communication services between service members and families, and provide military members, families, and veterans with casework services. 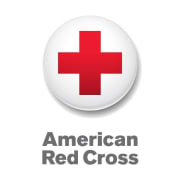 2) Administrative Associate- To support the mission of the American Red Cross by providing excellent customer service to current and potential volunteers through supporting daily operations within the office. 3) Reconnection Workshop Facilitator- Provide Reconnection Workshop modules to military, veterans and their families in various community-based settings. 4) SAF Presenter- Inform and educate Red Cross partners, military members, and their families by conducting briefings at a variety of community venues.